Mentholated indicates almost pure aroma, relaxing, recommended for medicinal use. 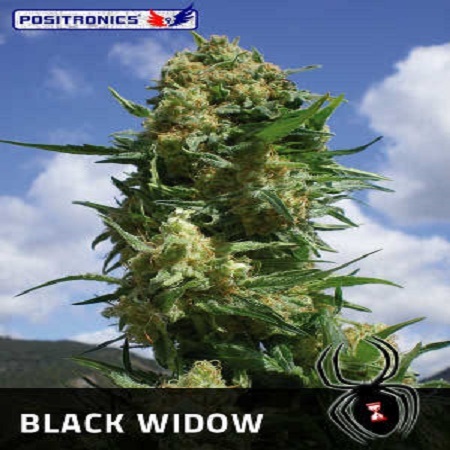 Black Widow Feminised Cannabis Seeds by Positronics Seeds: Mentholated indicates almost pure aroma, relaxing, recommended for medicinal use. 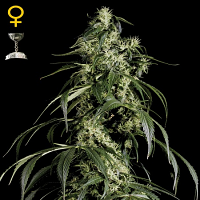 Slightly inbred crossing between two varieties Indicas exceptional, misty genetics was a revolution in the 80s the origin of this variety is kept anonymous, but given its high concentration of CBD Positronics decided to preserve it by importing from EE.UU. 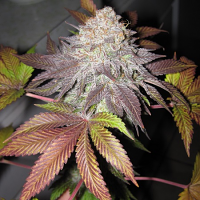 In the mid-nineties a variety called White Widow, which soon became one of the most prestigious varieties on the market. Positronics decided to combine the two varieties, recommending its use for medicinal purposes since they are high in CBD. Robust plant, compact and highly branched appearance, very short internodal distance, thick and woody stems. The leaves are tremendously wide and large with clearly defined veins. Moderate amount of leaves and maximum number of cups (buds) reaching an extreme hardness appreciated by commercial growers. Outdoors can reach 1.5 to 2m high. Indoors hardly reaches 1m. 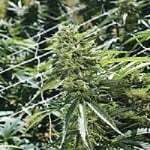 It tolerates high humidity in advanced stages of flowering. Successfully resists pests in general. Its use is advised late in the day with clearly introspective. 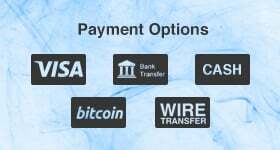 Not tolerate large amounts of fertilizer, for medicinal use recommends ienda Biological systems. In hydroponic systems is recommended not to exceed the EC 1.6. It is in these systems where the plant is available' divers dad great food, making it a very dark green leaves, hence the name Black Widow. 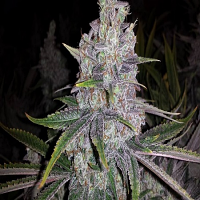 A more experienced growers white family like to keep your garden in the dark the last 2 or 3 days before harvest to a marked increase in resin. AROMA: strong floral scent with fusions of fresh mint and forest land truly a touch of floral explosion essential to use activated carbon filter. TASTE: lingers on the palate one minty aftertaste hard to forget. This is definitely a gourmet delicatessen. 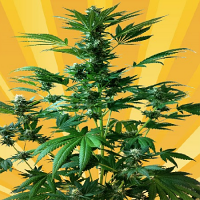 EFFECT: Strongly sedating and relaxing with high CBD content, undoubtedly one of the best varieties for medicinal use.